If you are looking for information on the Honest-1 Auto Care franchise business opportunity, Honest1 Auto Care franchises, Honest 1 Auto Care franchising or Honest One Auto Care franchise, then you have come to the right place. There are currently more than 249 million operating vehicles in the US. The average age of these vehicles grows older every year with over $35 billion in maintenance and repair expenditures in 2007. These facts all add up to present enormous opportunities for businesses providing quality service and exceptional value that consumers can trust. Success within the automotive industry is dependent on partnering with a company that holds the creed of Honesty, Value, and Support in the highest regard. Honesty, Value and Support, and an unwavering commitment to our customers and our environment are the priorities of our corporate philosophy. We work hard to develop our brand through superior training, support, and a variety of franchise offerings including Area Representative/Master Franchises. 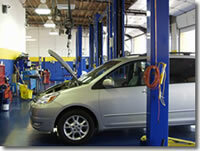 We are America's most trusted family of automotive maintenance and repair centers. This is not only our goal; it is our mission, and the heartbeat of how we work with our franchisees and our customers, making Honest-1 the most powerful automotive franchise experience in the industry. 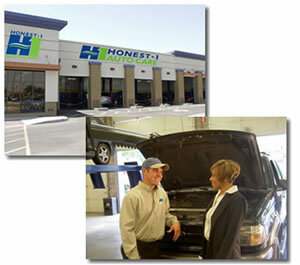 As an innovative leader in the automotive service industry, Honest-1 is a Green company. This means we have set in place very specific eco-friendly initiatives and strategies at both the corporate level and at the center level. It is our mission to be the cleanest company in a traditionally dirty industry. The name Honest-1 speaks to an important point of difference. Honesty and integrity are the pillars which hold our system together and apart from competition. We thoroughly train and reinforce integrity in every service offering to the customer. Industry statistics show that 66% of customers bringing in vehicles for service are female. Honest-1 centers are designed to be family friendly with upscale features like tiled lobbies with leather easy chairs and couches, Internet café, complimentary beverages, large screen TVs, children's play areas secured by a low wall, tiled and upscale restrooms, and exceptionally clean work areas. The automotive repair and maintenance industry is counter-cyclical, meaning it is recession resistant. As banks tighten lending requirements and interest rates rise, more car owners will hold onto their vehicles longer. This increases demand for preventative maintenance and repairs. To capitalize on this trend, Honest-1 offers a variety of services and products designed to lengthen the life of vehicles while maximizing fuel efficiency and reducing engine emissions in support of the environment. Honest-1 has multiple franchise programs that fit most situations and investment levels. For current automotive repair center owners, we offer a conversion program that is simple and straight forward and includes financial incentives. For franchisees with little or no industry knowledge we provide extensive and ongoing training and our relationships with real estate developers can get you up and running in a new "build-to-suit" center. For well qualified investors, Honest-1 also offers an Area Representative/Master Franchise program that enables a franchisee to develop a territory and share in the revenues generated within their area. This variety of offerings positions Honest-1 uniquely within the automotive industry and ensures we have an opportunity that matches your circumstances. 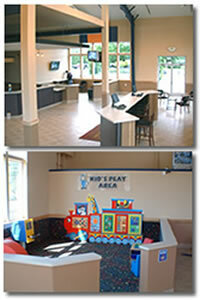 Honest-1 provides a complete training program for all of our franchisees and its employees. We offer a one week manager's school that covers running the front end of the business. This includes the sales process, production, software, and managing the shop. We also provide a one week owner's school that covers all the back end operations of running a center. Some aspects that are covered are accounting, marketing, human resources, software, and business planning. This would all end with one week of field training. The trainee gets to actually work in a center and watch how all of this comes together. Finally, Honest-1 provides support training to all Area Representatives. This training teaches AR's how to support the franchisees in their territory on a long term basis.